Today is Type 1 Diabetes Awareness Day, and while there are likely to be dozens of blog postings on this subject today, I am never one to follow convention with more of the same, so I've chosen to acknowledge this day without being redundant. What are the origins of this day? Well, because "diabetes" is a generic term that describes the symptoms of a disease, rather than the etiology (origin), diabetes blogger Kerri Morrone suggested that we use this day to clarify the distinction and make it clear that not all "cures for diabetes" or "new diabetes drugs" benefit the type 1 community. Can't Type 1 Diabetes Be Controlled? That really depends on how you define "control". Type 1 is an autoimmune disease which cannot be prevented with diet or exercise -- in fact, medicine does not know of ANY way to prevent type 1 diabetes from occurring yet (they are working on it, but none of the trials so far have yielded success). While these elements help in managing the disease, it is important to note that "managing" diabetes does not necessarily mean the disease is controlled. The definition of "control" is to exercise restraining or directing influence over, to have power over. Thus, the term "control" of type 1 diabetes is kind of a misnomer, as people with type 1 diabetes can only "control" just 3 variables (food consumption, activity, and insulin dosage) while there are literally dozens of variables out there, including the presence of various hormones in the bloodstream which we cannot even measure, let alone exercise control over. I would argue that "control" is a very poor word choice, and that "manage" is a more appropriate term. No dount, some people may debate the semantics of the term "control", but it is important to realize that what is frequently called "control" is perhaps better described as a constant act of juggling -- an act which one can never, ever take a vacation from -- ever. Fellow type 1 diabetes blogger Scott K. Johnson quotes another person with type 1 diabetes: Marlene Less from 1983 in saying "diabetes is like being expected to play the piano with one hand while juggling items with another hand, all while balancing with deftness and dexterity on a tightrope." Another diabetes blogger, Will "Printcrafter" (or Lee) puts it another way: "Living with diabetes is like living with a tiger. If you feed it, groom it, never turn your back on it; you can live with a tiger. If you neglect it; it'll pounce on you and rip you to shreds." Aren't There New Treatments for Diabetes? Again, here's where public ignorance is the rule, rather than the exception. Since the discovery of insulin in 1921, the U.S. Food and Drug Administration has approved just one new treatment for type 1 diabetes, which is Symlin (pramlintide acetate), which is an analog of the naturally-occurring beta cell hormone amylin -- which was approved on March 16, 2005. That brings the grand total of current treatments for type 1 diabetes to two (actually, Symlin can only be used as an adjunct to insulin -- it cannot be used alone, so does that even count as a whole treatment?). Its kind of like adding a fourth ball (to the 3 I mentioned before) we are now asked to juggle! As I noted in my most recent post, no study, not even the Diabetes Control and Complications Trial, has ever been able to show that diabetes management can prevent complications. For example, we now have solid evidence that two so-called complications of type 1 diabetes: neuropathy and cardiovascular disease are believed to have an autoimmune basis, so while managing diabetes may help slow the acceleration of these terrible outcomes, it cannot necessarily prevent them from occurring. This is not to say that the outlook isn't good for type 1 diabetes. In fact, in January 2008, Reuters reported that that the percentage of U.S. adults with diabetes who have their blood sugar levels under "control" (their word, not mine! ), as indicated by glycosylated hemoglobin (A1C) levels of less than 7%, increased between 1999 and 2004. This means that for those of us who manage our condition aggressively, the outlook is better today than it has been at any point in the history of this disease. Furthermore, research suggests that the incidence of kidney disease in patients with Type 1 diabetes has improved significantly. But there's still plenty work to be done. As a 2007 article published in Diabetes Care notes, medical students' knowledge of diabetes is not up-to-date, and that a majority of medical students frequently recommended the sole use of a sliding scale for insulin in the management of diabetes (a treatment that some prominent experts in the field believe should be abandoned), and that the students were less likely to recognize hyperglycemia in patients who were not known to have diabetes. In recognition of Type 1 Diabetes Awareness Day, I would like to raise awareness of these very issues and call attention to medical students to brush up on the subject as well! And, as Bernard wrote, while you're at it, why not give a hug to anyone with type 1 diabetes today? Great post. I often think that some of the lack of public attention towards type 1 has at least a little to do with the fact that most of us do control it pretty well. And it seems wrong that our successful management of an illness should ever lessen (even in a small way) the need for a cure. I also agree wholeheartedly with the call to improve education about type one in the medical field. While it is a relatively new drug in the arsenal for T1DM, it cannot be used and should not be used for those of us who have Gastroparesis. Gastroparesis is one of the many Complications associated with Diabetes(T1DM) which affect the nerves responsible for the absorption and digestion of food. So basically, Symlin and Gastroparesis are accomplishing the same.......Slowing down the Digestive Process. My experience has shown that many Physicians that I have encountered do not want to be "Partners" with their Patients when it comes to Diabetes care and treatment. They want to be advisors w/o any of their Patients having a "second opinion." It makes them(Physician) uneasy to know that his Patient has knowledge, wisdom and good judgement in the treatment of T1DM. Still looking for an Endocrinologist or General Physician that knows about, cares about, is passionate about T1DM..........and wants to Partner. Excellent post, as always, Scott. --When you find such a critter, give us a shout; I think many of us are looking for the same thing, and in the meantime, "make do" with the docs we have. Great post Scott. I very much appreciate how you constantly bring back to the surface that today's tools and care standards are just not good enough. Heck, they're not even good. It is a very small minority of highly motivated people that can really attempt to manage diabetes. Even with all that I (think I) know and a high level of motivation (most of the time), I can't get my A1C's below the mid 8's. And always lurking in the shadows are the mental aspects of dealing with all of it. Thank you, Scott. I might also add, while we are raising our voices regarding Type 1 diabetes, that Type 1 is often neglected or dismissed because we are undercounted and overshadowed by Type 2 diabetes. The CDC and ADA include people with slow-onset Type 1 autoimmune diabetes in the numbers of those with Type 2 diabetes (a different disease altogether). 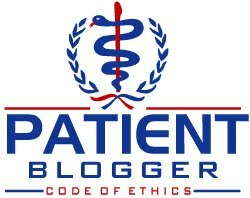 I have been reading lots and lots of blogs this evening and never thought about the "awareness" extending to the medical profession. OH YES! When I broke my ankle a couple years ago, a friend had to smuggle some insulin in for me to have in the hospital. I knew from experience that they wouldn't give me what I needed and didn't want to be held over because of high bg. I had to keep it rolled up in a sock. Another time, when I had a vitrectomy, I was not allowed to take a corrective dose when my bg was at 450 from the stress. "No outside drugs allowed", spoke the nurse. BetterCell was right - doctors are uneasy with a knowledgeable patient. Every day all we can hope for is to gain tight "control". As always, a great recap Scott. minnesota nice, I can certainly relate. Last planned surgical visit included arrangements to (1) store my animal insulin in hurses' station refrigerator, and (2) be in control of my own treatment. My 3 a.m. bG test was a bit high, and well understanding my heightened dawn-phenomenon, I rang the nurse to bring my insulin. She had to re-check my bG (any extra finger stick is greatly appreciated)--and in her estimation, according to ADA guidelines, additional insulin was not needed. I picked up my cell phone and told her that arrangements had already been made, and if my insulin was not brought immediately, I would (1) phone my doctor or (2) discharge myself. Not until I flipped open the phone did she recognize that I was quite serious . . . and then reluctantly complied. I'm glad I found your blog and hope to learn a lot from you. I've been a type 1 diabetic for 26 1/2 years and on an insulin pump for 7 1/2. I just recently started Symlin but I'm not sure if it is worth the trouble yet. I think I'm lucky in having the Endo I do, she does treat me like a partner. I come to her with ideas I've read about and she has gone with my ideas many times. It is also set up with the local hospital that unless I'm unconscious I (and any other diabetic on insulin) is in charge of their blood sugars and insulin unless they choose not to be.